ST. FLORIAN – Fr. John O’Donnell is a longtime fixture around the Cullman area. A Philadelphia native, he attended St. Bernard during its days as a college, and has been a monk at the Abbey since the 1980s. In years gone by, he served as the manager of the Ave Maria Grotto, and was the athletic director for St. Bernard Prep School. More recently, he was associate pastor of Sacred Heart of Jesus Church in downtown Cullman and presided over Sunday masses at St. Boniface in Hanceville. He has served as a chaplain with the Cullman County Sheriff’s Office and led weekly programs at the county jail, as well as working with multiple area addiction recovery programs. Along the way, he found time to endear himself to a generation of Sacred Heart kids as he worked with the parish’s youth ministry. For the last few years he was the Abbey’s Subprior (third in command, behind the Abbott and Prior, though a man like Fr. John would never use the word “command” to describe his ministry). Fr. John disappeared from Cullman a while back, and The Tribune traveled to his new home to talk about what happened and what he’s doing now. 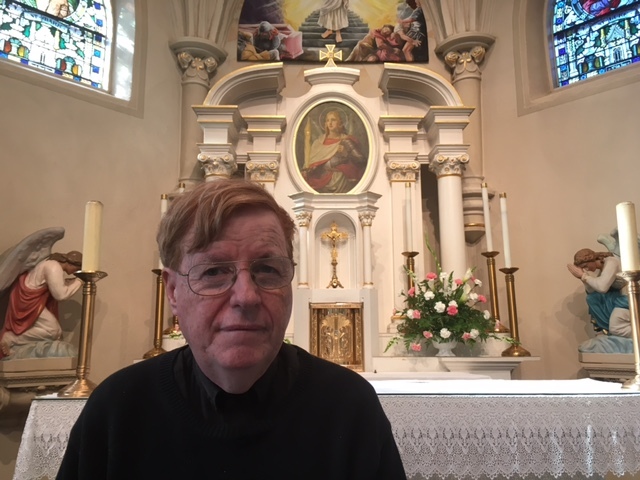 More than a year ago, he was temporarily reassigned to St. Michael’s Church in St. Florian, (a suburb of Florence), a parish which, like Sacred Heart, is overseen by the monks of St. Bernard. The parish has approximately 230 families on roll, with an average Sunday attendance around 150. Last Christmas, to the dismay of many Cullmanites, that assignment became permanent. The change from the monastery to the parish church rectory has been significant for Fr. John. He talked about his new responsibilities, and the differences between Cullman and St. Florian. “I was in a monastery; I lived with a bunch of people. Now, I’m by myself, with two dogs. That’s a big difference. I have less supervision…now I’m the supervisor! That’s hard. I enjoy the inner discipline of the monastery. The monastic life is focused on prayer, and so I try to do that here. I pray as much as I can here, but you know how that goes sometimes, with distractions and knocks on the door. While he’s staying busy at his new parish, Cullman and Sacred Heart are never far from Fr. John’s mind. Fr. John still makes it to Cullman regularly, but you probably won’t see him out and about. He usually travels home from St. Michael’s on Sunday evenings and spends Mondays among his brother monks at St. Bernard. For more information on what Fr. John is doing at St. Michael’s, visit the parish website, http://stmichaelscatholic.org, or www.facebook.com/St-Michaels-Catholic-Church-St-Florian-Alabama-287060911359728/.